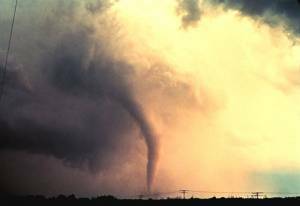 Spring can be a dangerous season for the Bluegrass State, with higher potential for tornadoes, severe storms, lightning and flooding. 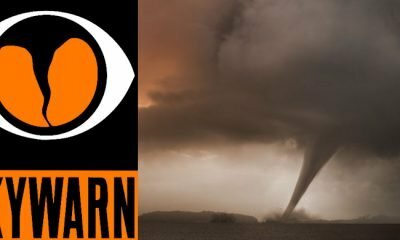 To help viewers educate themselves about proper “weather-ready” preparation and planning, KET presents Severe Weather: Staying Safe, a live call-in program hosted by Bill Goodman and featuring a panel of severe weather experts. The program airs Monday, March 16 at 10/9 pm on KET. Being prepared and learning more about reliable emergency services can greatly minimize the potential deaths, injuries and economic losses associated with severe weather. During the one-hour program, viewers can submit questions and concerns about severe weather by calling 1-800-944-4664 or on Twitter by tweeting @KET using hashtag #kyweather. Panelists include Gary “Buddy” Rogers, a public information officer with Kentucky Emergency Management; Shawn Harley, chair of the Kentucky Weather Preparedness Committee and meteorologist-in-charge at the National Weather Service’s Jackson, Ky. office; Rick Shanklin, warning coordination meteorologist with the National Weather Service in Paducah and chair of the Kentucky Weather Preparedness Committee West; and John Belski, WLKY Channel 32 meteorologist. Severe Weather: Staying Safe is a production of KET in partnership with the Kentucky Division of Emergency Management and the Kentucky Weather Preparedness Committee. Nick Helton is producer. KET is Kentucky’s largest classroom, serving more than one million people each week via television, online and mobile. Learn more about Kentucky’s preeminent public media organization on Twitter @KET and KET.com/KET and at KET.org.